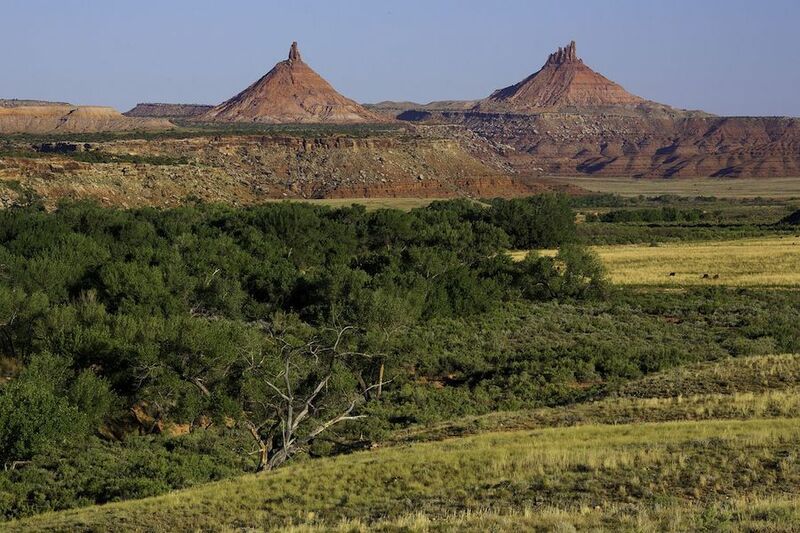 (CN) – The leader of the Department of Interior on Monday recommended President Donald Trump reduce the amount of protected land included in the 1.3 million-acre Bears Ears National Monument in southeastern Utah. Interior Secretary Ryan Zinke submitted an interim report on Bears Ears to the White House over the weekend, recommending the Trump administration alter the monument’s boundaries and that Congress enact laws that allow for tribal co-management, among other legislative items. In what amounts to a compromise, Zinke removed the possibility of totally rescinding the national monument, which was created by President Barack Obama via an Antiquities Act proclamation in December 2016. “Certainly, rescinding the monument was an option, but there are some antiquities within the monument that deserve to be protected,” Zinke said Monday. He indicated that the actual Bears Ears geological structure, many of the historic tribal dwellings and historic artifacts in proximity to the structure, and the area of Newspaper Rocks and north would all likely be kept as national monument land. The secretary did not say how much of the land would be removed under his proposed recommendations, despite repeatedly being pressed for specifics. “It’s a little premature to throw out acreage,” Zinke said, noting the report is only an interim report. Zinke touted the opportunity for the integration of tribal co-management as the Navajo, Hopi, Pueblo and two different contingents of the Ute tribes all have ancestral ties to the region and have long maintained their cultural practices, combined with the presence of significant artifacts on the lands, warrant protection. On the other side, Utah’s Congressional delegation and state officials, including Utah Gov. Gary Herbert, maintain Bears Ears was a federal land grab in a region where federal government land management already impinges on state sovereignty. 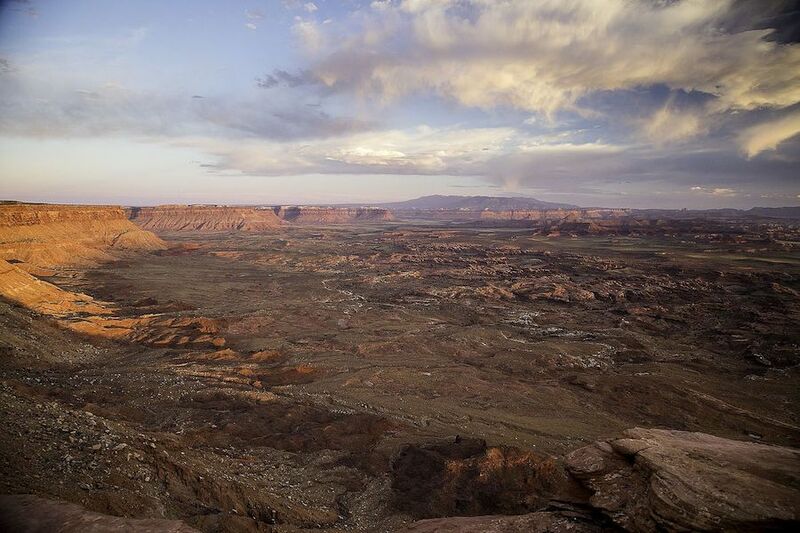 “Federal and state officials elected from Utah strongly oppose the current BENM boundary,” Zinke wrote in the recommendation to the White House, abbreviating the monument’s name. Along with recommending an unspecified alteration of the boundaries for the monument, Zinke also called upon Congress to authorize tribal co-management of the areas of the monument recommended for preservation under the Antiquities Act. Zinke will also ask Congress to explore using other designations on some of the land, including the establishment of designated recreation areas or conservation areas. Lastly, Zinke asked Congress to clarify the legal relationship between wilderness study areas that exist within a monument and the management practices of the monument itself. The interior secretary was ordered to undertake the review of Bears Ears and several other monuments throughout the nation on April 27, when President Trump issued an executive order demanding a wholesale comprehensive review. The executive order caused consternation in the conservation and environmental advocacy communities, while many constituents who view the federal government’s land management practices in the American West as overly restrictive hailed the new policy. On Monday, several environmental organizations denounced Zinke’s interim report, threatening to sue should the Trump administration follow through on the recommended reduction of Bears Ears. Meanwhile, Gov. Herbert released a statement praising Zinke’s recommendations. Zinke said he will give a final recommendation, with specifics regarding acreage, when he has completed his review of the other monuments, as directed by the presidential executive order. In total, the Interior Department will review 22 monuments which are greater than 100,000 acres and where questions exist over whether the designations by previous presidents were appropriate and consistent with the Antiquities Act of 1906. Zinke will review the Katahdin Woods and Waters National Monument, an 87,000-acre monument preserved by Obama earlier this year. The department will also review the designations attached to five marine reserves including the Papahanaumokuakea Marine National Monument, which is the largest such marine reserve in the world.